This beautiful copper still is meticulously handcrafted to stand the test of time. 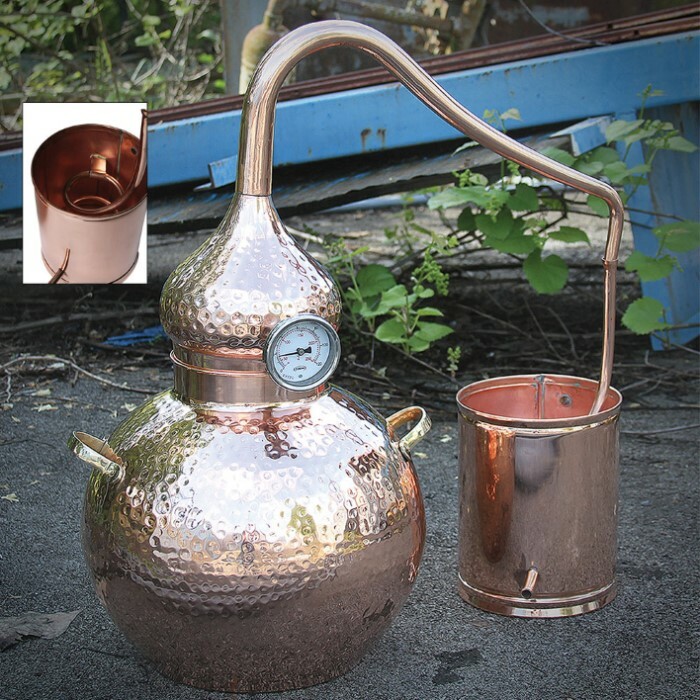 All parts of the Five-Gallon Soldered Alembic Copper Still are soldered to ensure a perfect seal using copper, brass, 100% lead-free tin or silver and they meet all food safe standards. These soldered parts are then hand hammered again so that the copper may regain its resistance and maintain its strength. 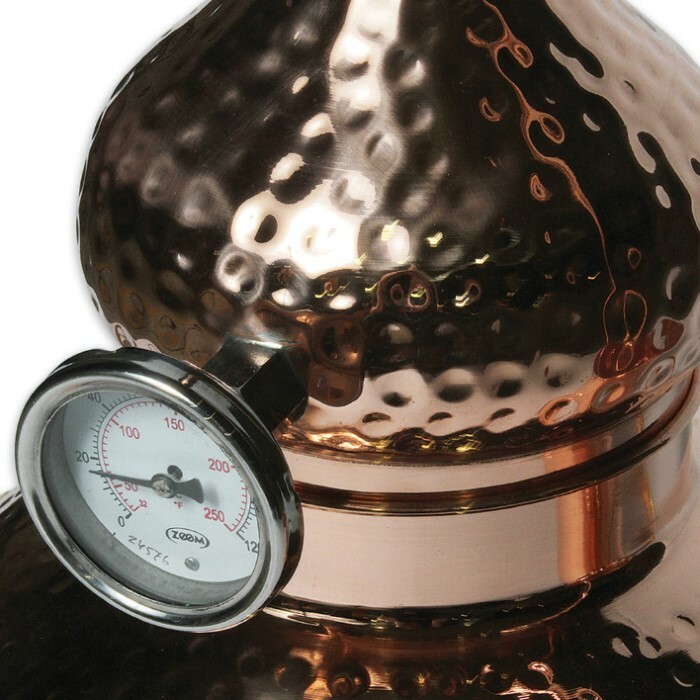 Beginners and experienced distillers alike will appreciate the simple, practical design and impeccable craftsmanship. 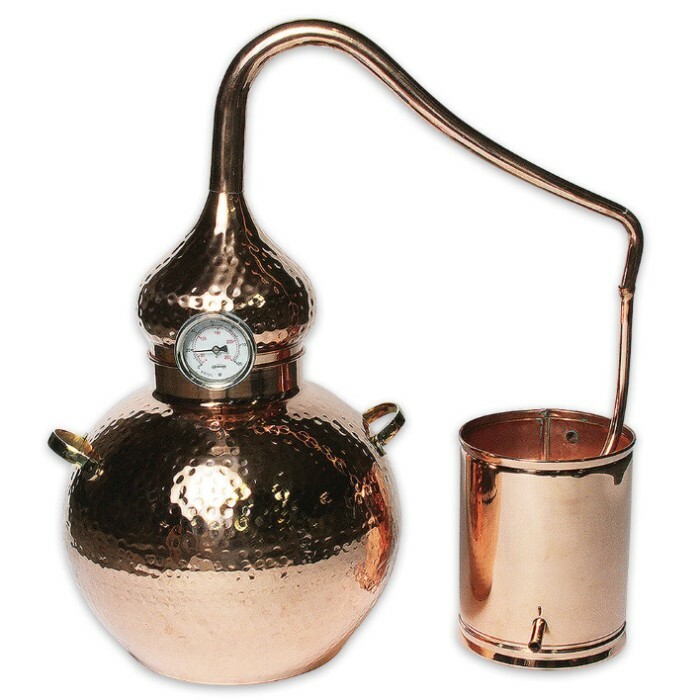 This alembic still is completely equipped with a copper pot, a swan neck lid and a condensing recipient with serpentine coil.